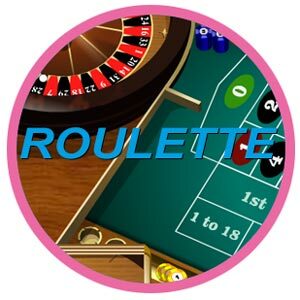 Roulette - The Rules and How to Play Roulette on Casinos! The roulette is a very old school game that continues to maintain very high levels of popularity even nowadays. You must have heard a story or two on the creation of the roulette – the most popular one is that the person that created this game ended up killing himself because he couldn’t find a way to beat the system. And you must have heard that when you add up all the numbers on the roulettes table, the result is 666 – another folklore element that makes people think of this game as the “devil’s game”. These stories that are popular among gamblers and regular people alike are a testament to the popularity of this game. And you may find that you’re fascinated by this game, and you find that you wish to try playing it. But how do you do this? What are the rules behind the roulette? In what scenario do you win, and in what scenario do you lose? This is a game that most people will be able to understand instinctively, just by watching a few cycles of the spinning of the wheel, and how other people play. It’s a simple game, to be fair, and this inherent simplicity is one of the most important factors why the roulette is a very popular game. So, the basic setup is as follows – there’s a table with 37 numbers on it in the French version of the roulette, and 38 numbers in the American version. These numbers are of two colors, red and black, and they are intermixed. For example, one is red, two is black, three is red, four is black, etc. All of the numbers are of color, except for zero, which is of no color. The sole function of the zero is to increase the odds in the favor of the system – with the use of the zeros you will no longer have 50 percent chance to win when you pick to bet a single color, but slightly less. And this is exacerbated if you play the American system of roulette with double zeros. Anyway, there’s a wheel near the table, and the game starts when the dealer (or the computer) throws a ball over the spinning wheel. All of the numbers and the colors of the table are on this wheel. The game ends when the wheel stops spinning and the ball falls firmly into place on one number. If you have bet on a color or number where the ball has fallen, then you win. If this is not the case – then you lose. This is the core of roulette. You’re in luck, because nowadays you don’t even need to leave your home in order to play the roulette. The fact of the matter is that you can find a number of UK online casinos that offer you to play the game of roulette if you make an online deposit. Now, go and win some money on the roulette!